Monster Oil produces the cleanest synthetic brass lubricants currently on the market. The company was started by three professional trumpet players who collaborated with an aerospace lubricant firm. Together, products that were originally used by NASA were reworked until they were perfect for brass instruments. The result is a line of products that are designed to clean, protect and lubricate instruments all at the same time. 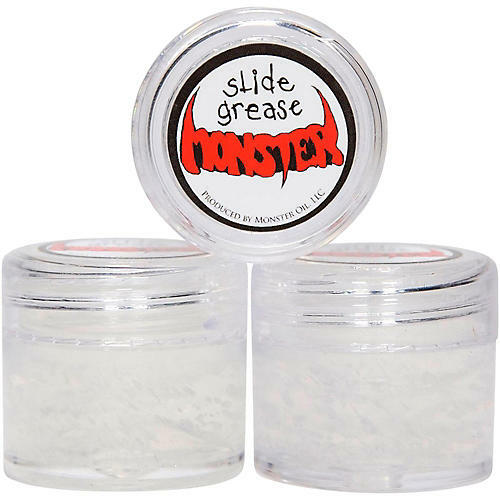 This Slide Grease is a professional grade thick grease that should be applied to slides that shouldn't move. It is extremely long-lasting, temperature resistant and will help protect your instrument from corrosion.